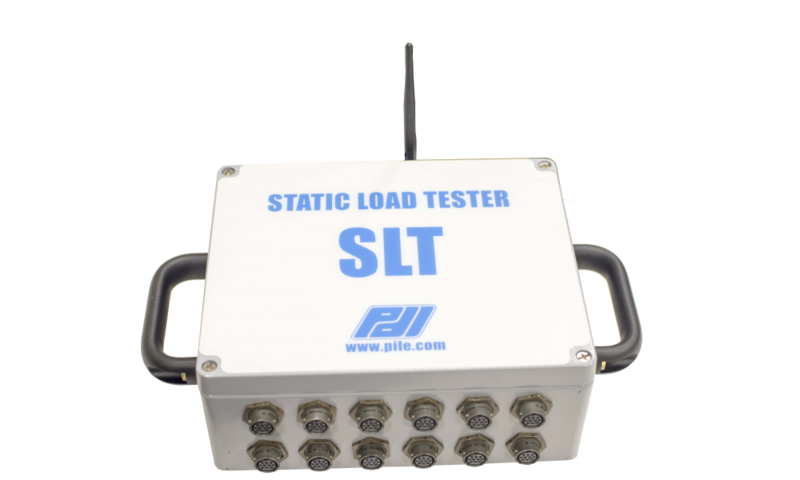 The Static Load Tester (SLT) automatically obtains and records reliable readings at programmable load intervals during a static load test. The system allows for monitoring of up to 16 independent channels taken from traditional pile-top measurements or from embedded sensors from each data acquisition box. Many boxes can be connected to the Static Load Tester at once. Automatic data collection and display allows real time monitoring, analysis, and interpretation of results. Static load testing is used to evaluate the load resistance behaviour of deep foundations prior to structure construction. It differs from rapid and dynamic load testing in that the load is applied to the deep foundation slower. 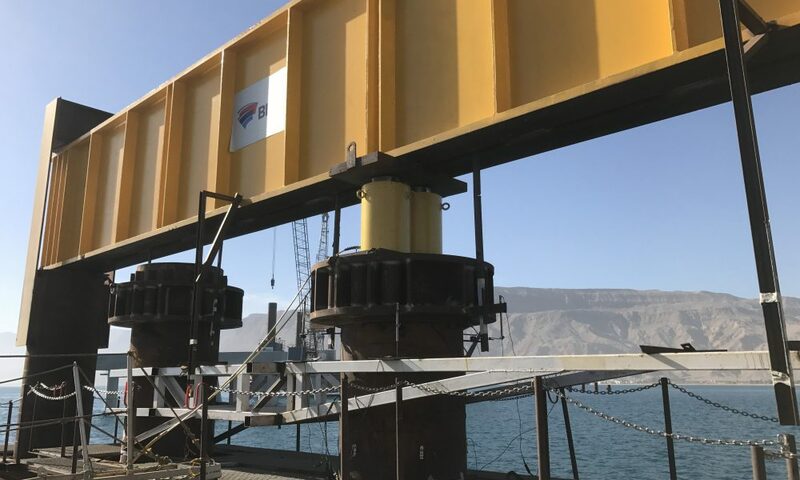 Static Load Tests can be performed to validate foundation design assumptions regarding the axial compression or axial tension resistance provided by a deep foundation element, or its deflected shape under a lateral load. 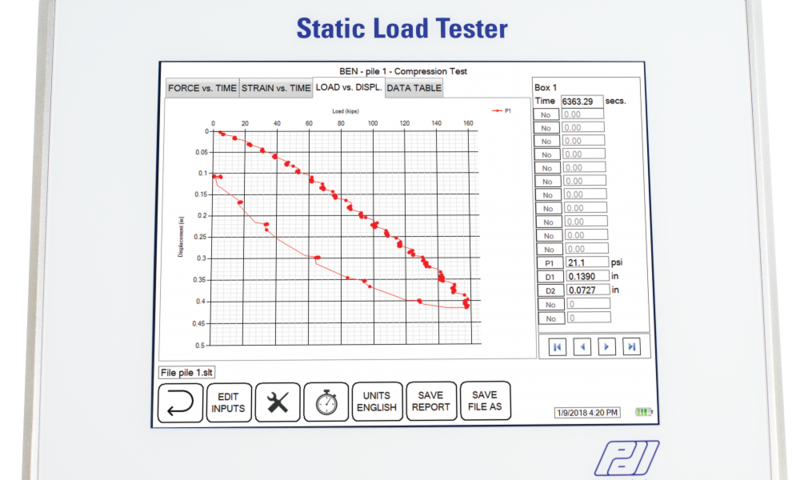 Conventional readings of the applied load determined from the jack pressure gage and load cell, and deep foundation head movement determined by LVDTs, digital dial gages, or mechanical dial gages, can be combined with the SLT to determine the capacity or nominal soil resistance, the load-transfer behaviour under axial loads, or deflected shape under lateral loads. The Static Load Tester also reads strain gages and VW gages.